| Interview by Daniel Codella conducted on April 12, 2012. If I had to describe Alan Wilder and his 30+ year career in music in one word, it would be "fearless." Alan Wilder makes no compromises musically, and has bravely ventured into new sonic territories where few others have dared to tread. Alan is a classically-trained musician and was a member of several bands throughout his youth before joining Depeche Mode. Depeche Mode went on to become one of the most sucessful bands of all time and hugely influential in the electronic and alternative music scenes. Alan's contributions and unique production were a significant piece of Depeche Mode's signature sound. After a 15 month tour and at the height of their popularity, Alan made the brave and necessary decision to leave the group and devote more time to his solo project, Recoil, in 1995. With a sound completely unlike his former band (or anything else for that matter), Alan has used Recoil to explore musical genres ranging from trip-hop to gospel and everything in between. Unlike most bands who cave in to record label demands or the whim of the general public and force themselves to craft squeaky clean, 3 1/2 minute radio-friendly nuggets of fluff, Recoil's music makes no compromises. Dark lyrical subject matter, spoken word interludes, and the use of unconventional instrumentation are key elements of the Recoil sound. Alan's fearless pursuit of true musical integrity has influenced countless artists and has earned him fans around the globe. Notoriously picky about which sounds and gear he uses, we were thrilled to learn that Alan was very impressed by our Discrete Drums drum libraries. We caught up with Alan through email and were able to learn a bit more about how he's using the samples, what he's currently working on, and where he sees the music industry today. We heard you have some exciting projects at the moment, could you give us any details? Secondly, I've also been working on a great tribute album (and book) about Talk Talk & Mark Hollis. My involvement began with a quote provided for the book and escalated quite quickly towards the music part of the project, to the point where over the last year I have become executive music producer, offering feedback and advice to many of the artists (33 in total) and to Toby, the project leader. I have also provided two tracks myself (as Recoil) with the help of 3 different vocalists including Linton Kwesi Johnson, Shara Worden (My Brightest Diamond) and Paul Marshall (Lone Wolf) plus an array of supporting musicians. Toby and I didn't always see eye to eye over all the contributions but I think we have ended up with a hugely impressive collection of heartfelt covers, submitted with genuine affection and respect for the Talk Talk legacy. It can be quite a daunting challenge attempting to do justice to some of the most inspirational music ever produced. One of my criteria when listening to all the covers was to try and place myself in the head of Mark Hollis and imagine if he would enjoy what he heard. I have no idea if he will of course, but for me this is a fitting tribute to a massively underrated group, made with few compromises over quality and commerciality. My personal favourites are by those artists such as Thomas Feiner/Fyfe Dangerfield, Jack Northover, Joan As Policewoman, Nils Frahm/Peter Broderick & Zero 7 - all of which thought really carefully about how to re-interpret the originals in a completely fresh and exciting way. This is the approach I tried to take with my own submissions too. I am also a big fan of Lone Wolf's haunting cover of 'Wealth' which features the brilliant voice of Paul Marshall. ‘Spirit Of Talk Talk’ will be released by Fierce Panda Records : http://blog.recoil.co.uk/talk-talk-tribute-album-book-new-update/ Both of the above projects are provisionally set to hit the streets at the back-end of May, so keep an eye on the Recoil blog for full details & regular news updates. What is your current studio setup like, and do you have any favorite pieces of gear? I recently streamlined my set-up via a massive auction held last year - I felt I needed to scale down the Thin Line Studios. My needs have altered a bit since laptops, soft synths and plug-ins have come to the fore, and even though I was a bit emotionally attached, passing on some vintage gear and historical items seemed like a good way to start. I was able to re-locate into a perfect environment which is very close to, but separate from, my main house. Only problem - it is cold in the winter! These days I focus on working almost exclusively 'in the box' which has the added benefit of keeping me portable too, for the most part. I use a MacBookPro running latest Logic through an RME Fireface unit (no more ProTools hardware) - with plenty of instruments / plugs, such as Native Instruments ‘Komplete’, ‘Damage’, Fab Filter, SPL and so on. Obviously I use a lot of self-made samples from a library of my own built up over many albums, and I have retained some outboard synths such as a Midi-moog, an Obei rack & an old faithful EMS VCS3. Monitoring is near-field only, through self-powered Dynaudio speakers. Now I just have to find some actual time to work on new music! My partner Britt just gave birth to our first (and my third) child - Clara Lake - so you can imagine things are quite hectic here in Sussex. 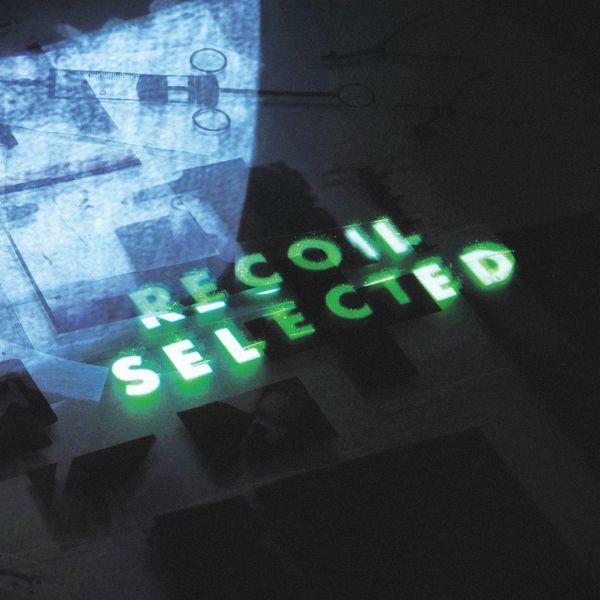 How do you feel Recoil's sound has changed over the years, and where would you like to take it in the future? Sonically, I have always tried to create open, wide soundscapes with depth & detail. That approach hasn’t really changed. I guess I have just become more focused about what I want, although always keeping an open mind. I have built up good friendships with many collaborators in and out of the studio and that has stood me in good stead. These days, I am more bloody-minded than ever about having things my way, with very little compromise. I strive for perfection (futile though that may be) and insist on quality control - the beauty is in the detail as they say. Having said that, I try to work with people who I believe are talented and then give them space to contribute what they instinctively feel, without dictating. As long as I can ultimately place and/or edit those performances in the way I see fit. How did you get into music and production? Did you have any mentors? Well I was brought up with music, having learned classical piano from an early age, after which, at age 17, I started working as a tape operator at DJM studios in London. From then on, I only ever wanted to either play in a band or record in a studio - preferably both. Luckily that is what I ended up doing! I’ve learned from many over the years, such as Daniel Miller, Gareth Jones, Flood, Paul Kendall and others along the way - but I still wouldn’t describe myself as particularly technical or proficient on the engineering side. I am a very good editor, coming from a musical angle, and I believe my best skills are generally in that department, as an arranger/orchestrator/producer. As far as methods for recording & mixing - well I tend to find something that works for me and stick with it. Not too long ago, I read a letter you wrote about the state of the music industry, MP3's/ Compression/Mastering, and music marketing. Have your views changed on these subjects at all? Do you think any of these issues have improved over the last 4 or 5 years? Improved? Not sure about that. Changed? Yes things have changed quite a lot since I wrote that piece, 4 years ago now - some for the better maybe. I am firmly of the opinion that labels have now become much more like facilitators and that artists can, if they are so inclined, manage, promote (to an extent) and distribute themselves - with some help from good fulfillment outlets. Artist-driven projects tend to be more about the core music and desires that accompany it. Some, like NIN and Radiohead for example, have drawn up new and interesting templates for others to follow. As for formats - more forward-thinking artists are providing higher quality digital download options which I support. And I believe that mastering techniques are gradually improving (with many exceptions) whereby it is not just about the volume war but rather, dynamics and warmth. It is good to see vinyl popularity increasing too, along with high-end limited editions - tactile multi-format products for those that don’t regard music as just a disposable 'here today, gone tomorrow' commodity. YRecently you have been playing with our Discrete Drums loop collections, do you enjoy them? Yes I do - very well recorded, dynamic and with many variables to help create whatever the user might need. I look forward to exploring these some more in the future. Do you think the sounds from Discrete Drums will find their way into your demos or final productions? Where can our users learn more about you, Recoil, and your other projects? "You can hear use of some Discrete Drums in a mix I created recently, entitled 'Minutes' for Sonoio. SONOIO is the project of Alessandro Cortini – former member of Nine Inch Nails."